2013. 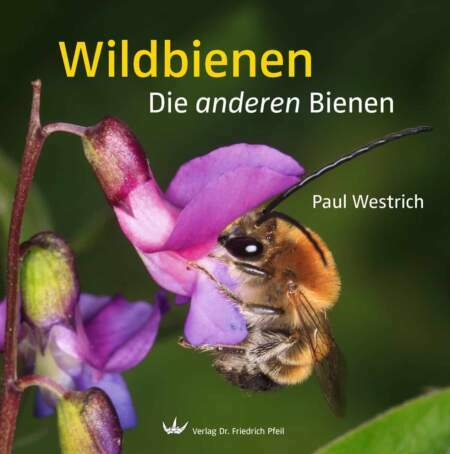 [Englisch] - 192 Seiten, 21 Farb- und 45 Schwarzweißabbildungen, 9 Tabellen. 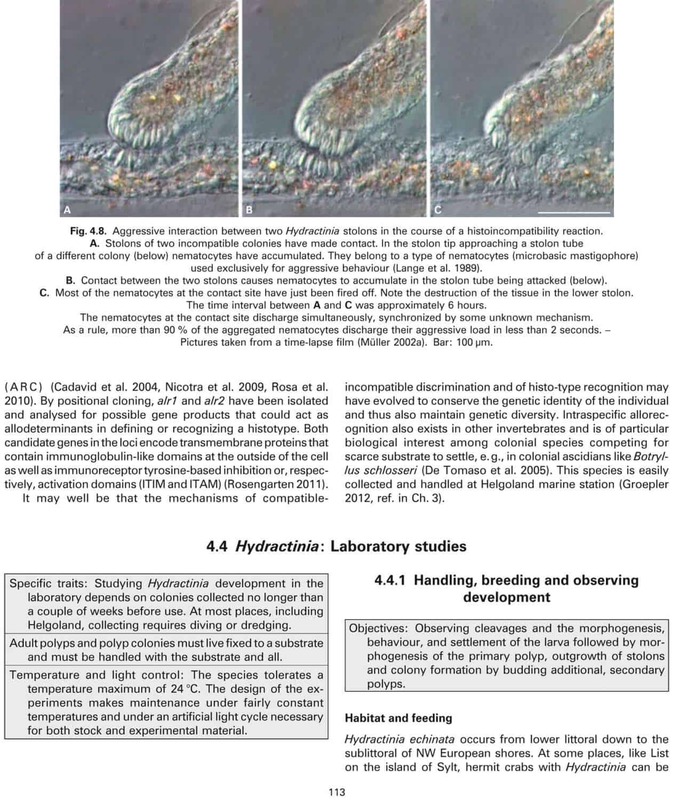 Many of the essential problems in developmental and general biology have found their solution using marine invertebrates, and marine stations, research institutions located on the seashore, have played an eminent role by providing both technical and intellectual support. 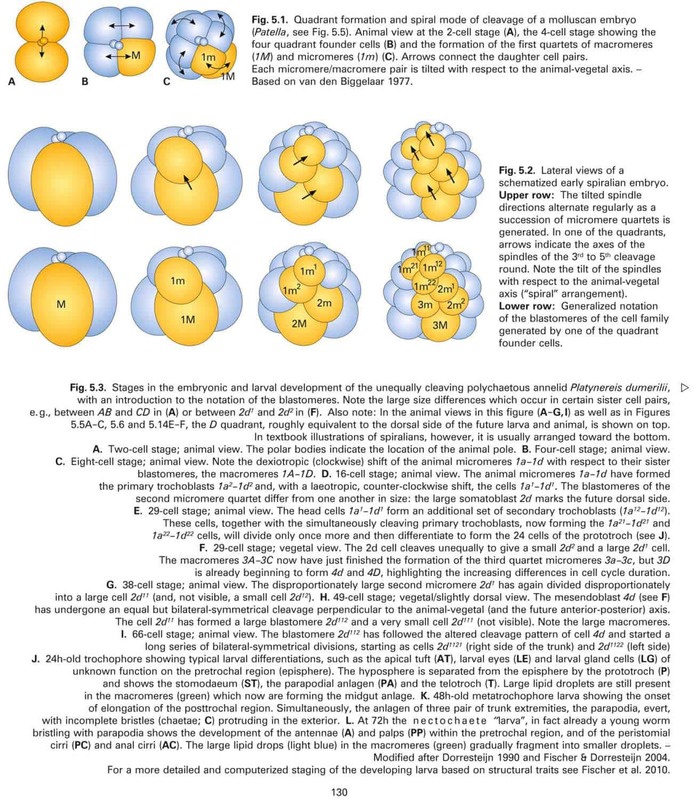 Fusion of egg and sperm cells, fusion of the two pronuclei as the essential event at fertilization, and sudden changes in egg membrane charge and ion mobility following sperm-egg fusion were observed for the first time in mussel and echinoderm eggs. 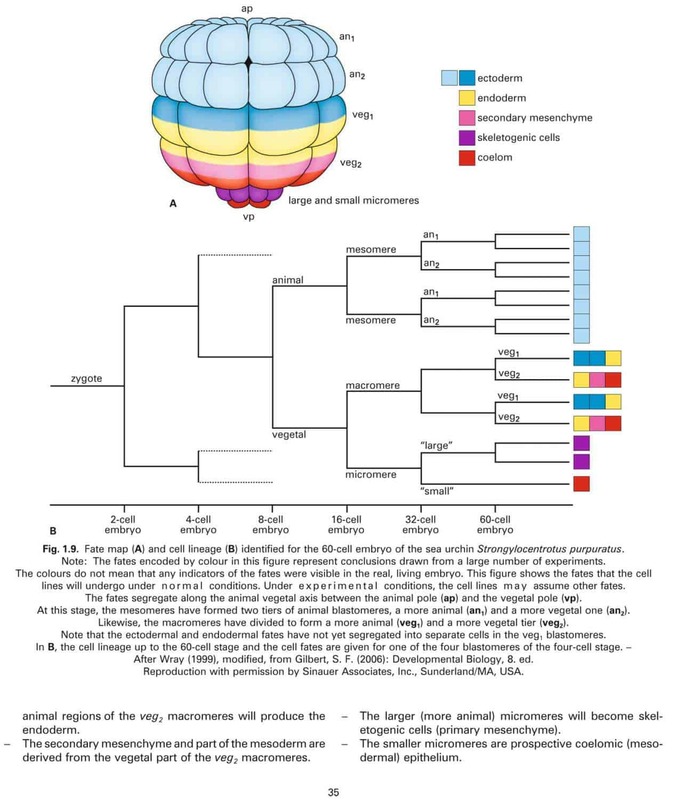 Regulation, i. e. the compensation of experimental loss of cells by an embryo fragment, was studied for the first time in a sea urchin egg, and the existence of the cyclins, the proteins controlling the cell cycle and division, was detected during a student course working with clams at a marine station. 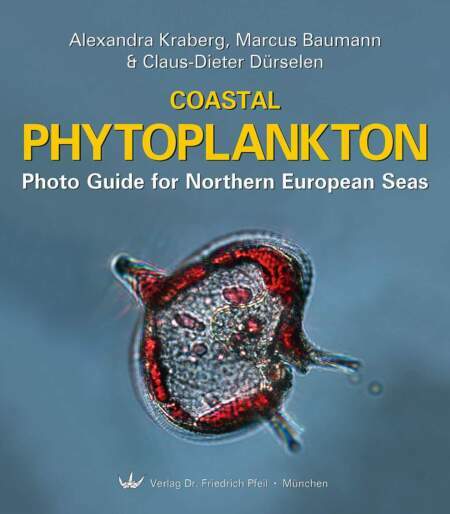 The six authors of this book have often taught student courses and summer schools on developmental biology, many of these at the Helgoland Marine Station. 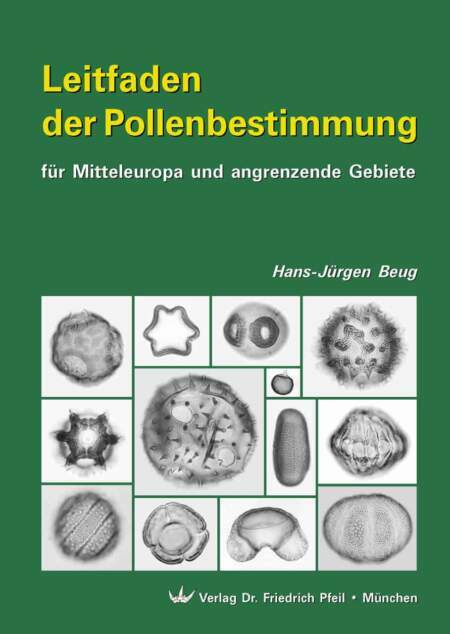 They have compiled widely distributed methodological information and contributed their own experience including information not yet published which they wish to pass to interested people. 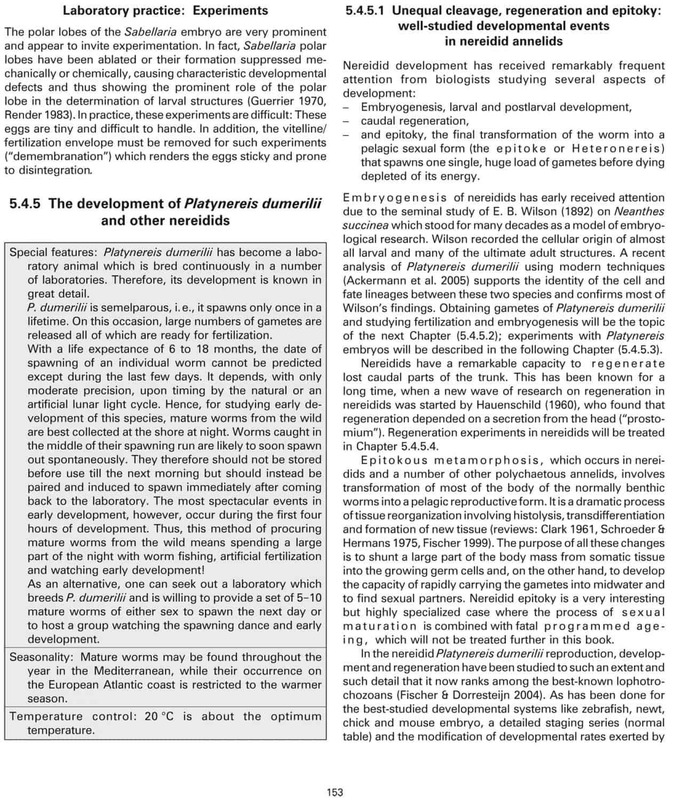 Nearly half of the text is a narrative describing the problems, thought and solutions of developmental biology relating to the ”model” species treated in this book. 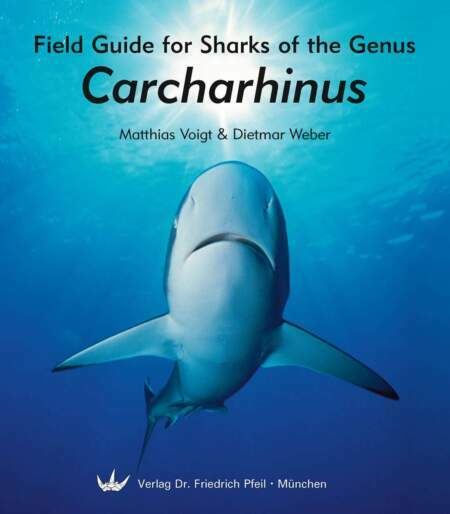 The authors believe that the observations and experiments with living marine invertebrate eggs and embryos described in this book will provide inspiration to students for the study of basic processes in embryonic development. Most developmental biologists work on model systems. Their research materials are domesticated in the sense that their life cycle occurs in a laboratory. Frequently they are manipulated genetically, their genome has been sequenced, and it is possible to detect and manipulate patterns of gene expression by altering gene expression or translation in the organism. There are also more adventurous biologists who study the development of wild organisms; many of these organisms live in marine environments. Often these studies have addressed basic questions involving early development, or ecological questions involving progression through complex life cycles. 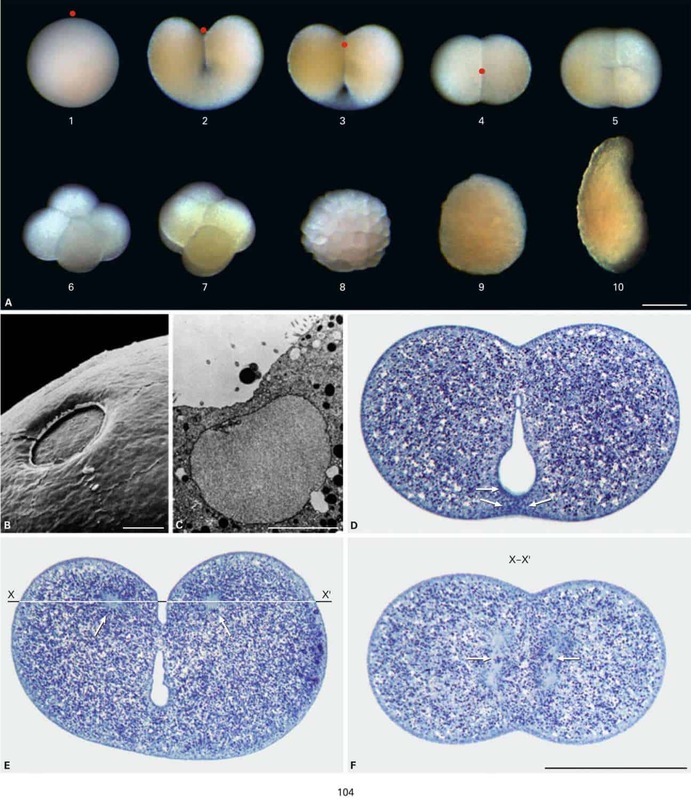 Recently there has been a great deal of interest in the developmental basis for evolutionary change which frequently utilises work on marine material. A substantial amount of research and teaching occurs at marine labs throughout the world. 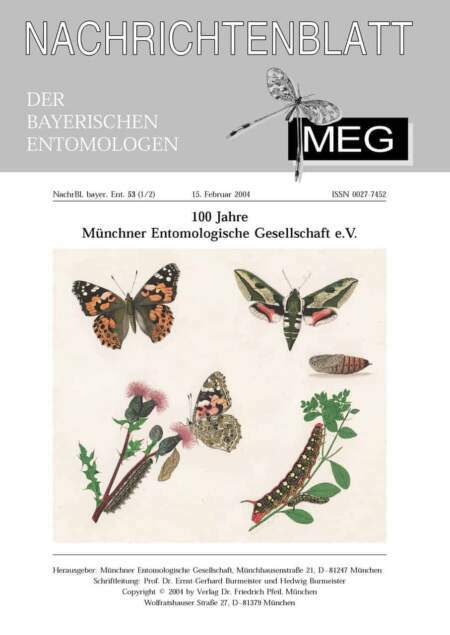 In order to carry out investigations on developmental stages of animals at these facilities, one has to know when a given species is in reproductive condition, how to get individuals to spawn or to obtain gametes from them, how to mature eggs and fertilise them, and how to rear embryos or later stages of development such as larvae and to induce their metamorphosis. Most of these operations start out as local knowledge that is passed on by word of mouth or appears in some form for a given species in a research paper. In a few cases this information has been compiled in methods books. 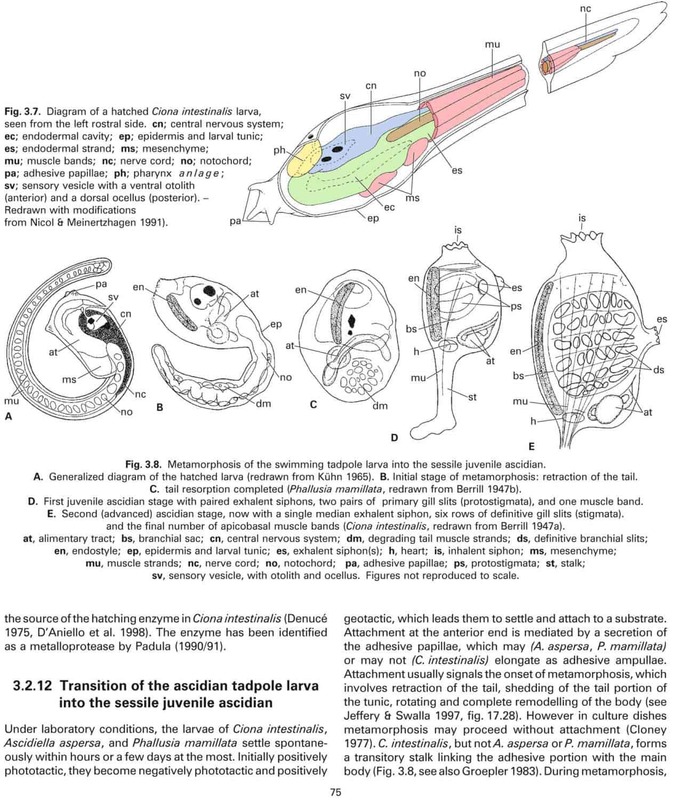 Costello, D. P., et al., 1957, “Methods for Obtaining and Handling Marine Eggs and Embryos”, is based on the fauna at the Marine Biological Laboratory in Woods Hole, Mass. 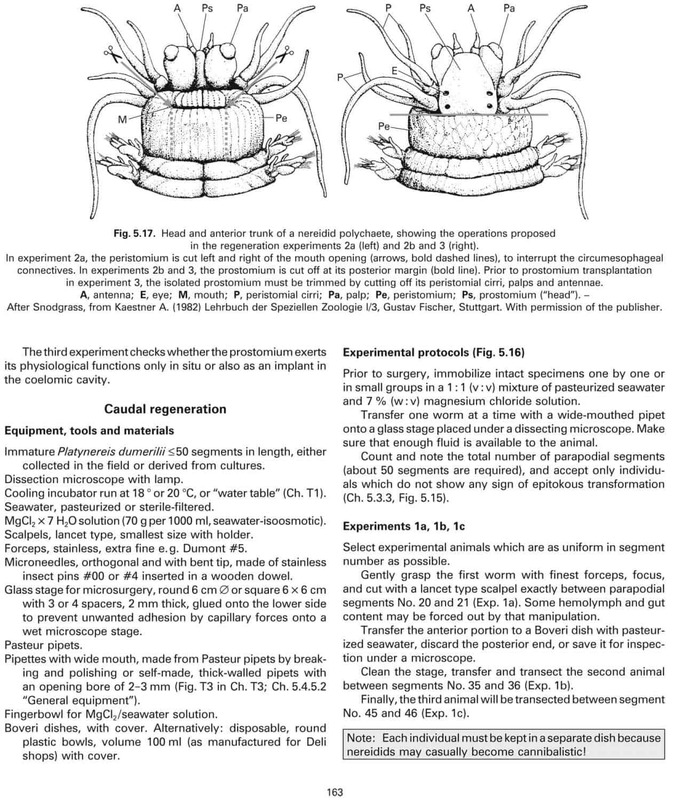 on the east coast of the U.S. while Strathmann, M., 1987, “Reproduction and Development of Marine Invertebrates of the Northern Pacific Coast” is based on the fauna at the Friday Harbor Laboratories of the University of Washington. Both of these marine stations have traditionally had a history of research on the development of marine organisms, and have been the site of courses on the embryology of these organisms and their larval biology. 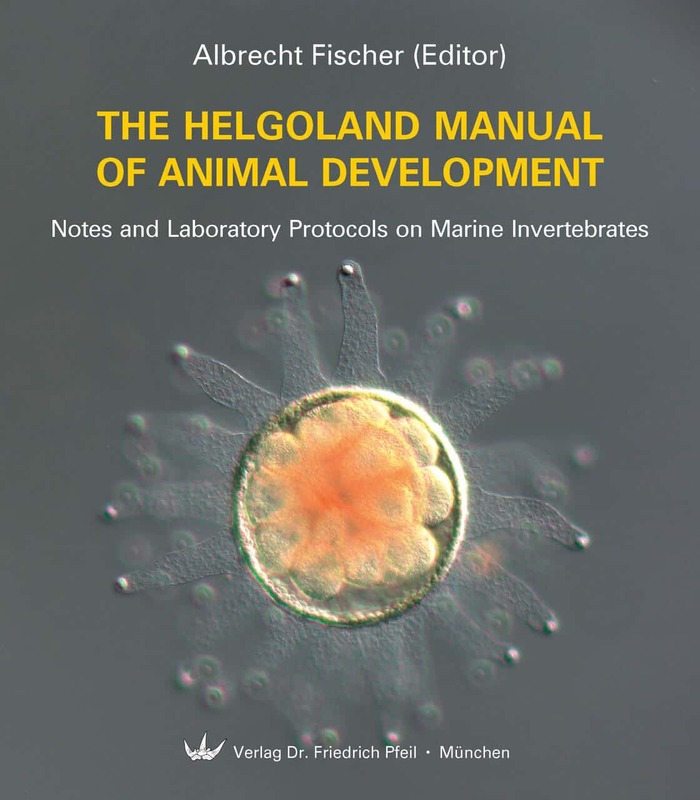 “The Helgoland Manual of Animal Development” is also a methods handbook, but it differs in several significant respects from the two U.S. handbooks. 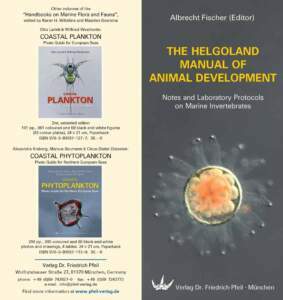 While the older handbooks provide a little information about a large number of genera in many phyla, the Helgoland manual provides a great deal of information on the development of a small number of genera within five phyla: Cnidaria, Mollusca, Annelida, Echinodermata and the Urochordata within the Chordata. These genera are common; they can be studied at a marine station or shipped by a supplier to universities to be used in classes or research. 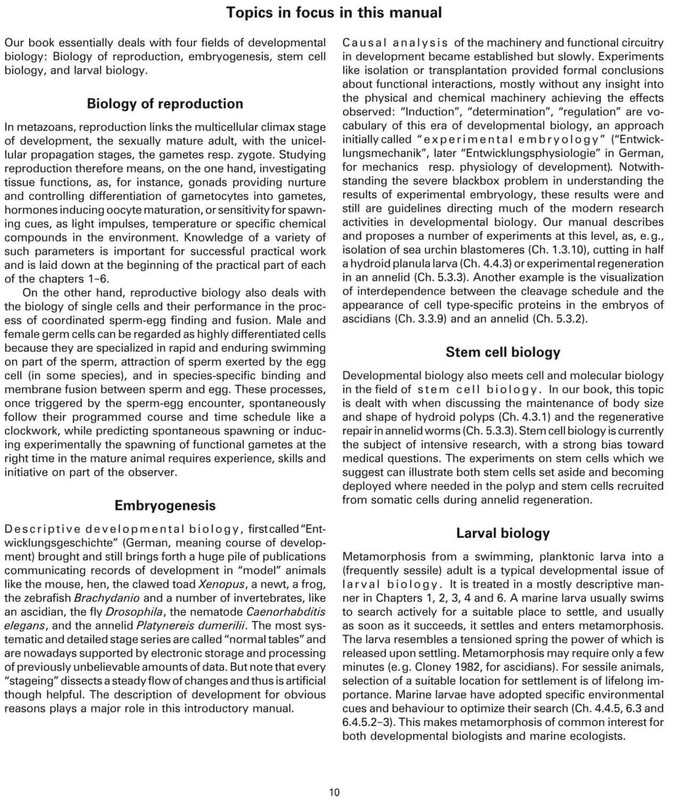 The genera that are featured highlight in different ways fundamental aspects of development that can be studied, including: oocyte maturation, fertilization, establishment of axes of symmetry, regional specification, morphogenesis, stem cells and regeneration, in addition to larval biology and allorecognition. 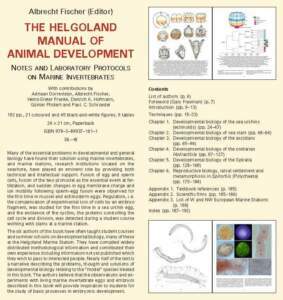 Each chapter of the manual provides a narrative of the development of the organism(s), with special emphasis on those features of development and some key experiments that have made this material especially important in the intellectual history of the field. 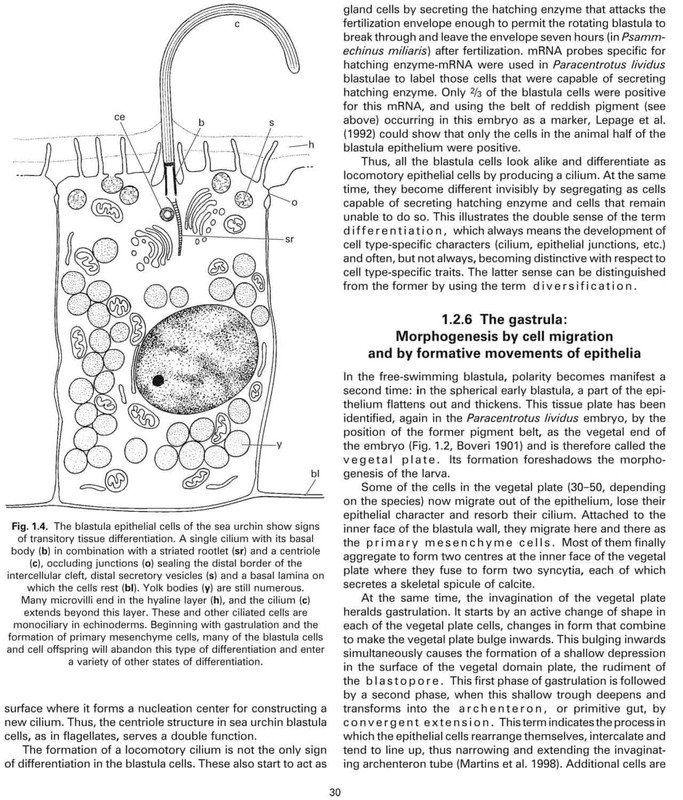 The last section of each chapter describes practical laboratory studies. These studies provide instructions on how to manipulate the material. The studies start out with simple observations of early development under a variety of conditions and progress to relatively complex experiments. The basis for the observations and experiments is described in the preceding developmental narrative. 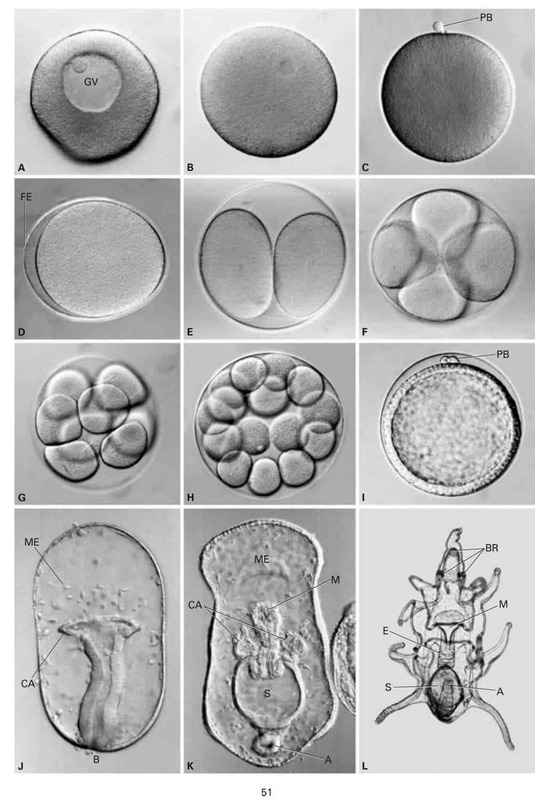 I have read through several sets of laboratory instructions for developmental biology laboratories over the years; this is the best set of instructions that I have seen. They are an excellent way to move from being a novice to a more sophisticated observer and thinker. The ideal place to use this manual is at a marine station. 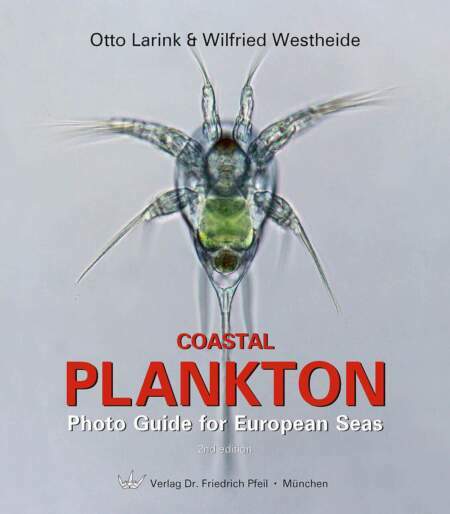 While this manual is based on work at Helgoland it can be easily adapted to comparable organisms at other marine stations along the Atlantic coast of Europe. 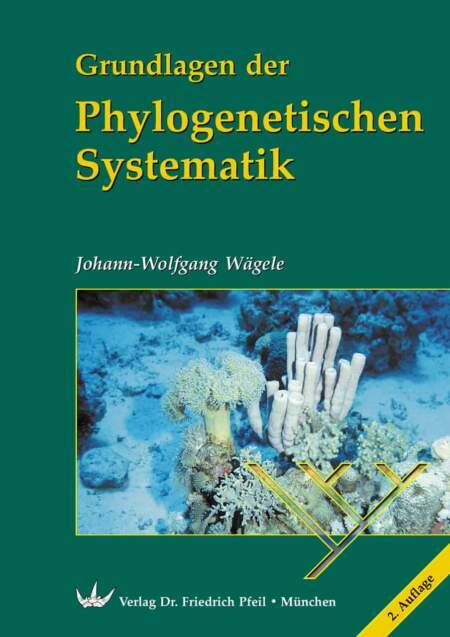 This book is a tribute to marine stations as a special setting for research and teaching and the intellectual contributions these historical institutions have made to our understanding of biology.